Who knew that some ugly cupcakes would give me a lesson on cell phone data plans. 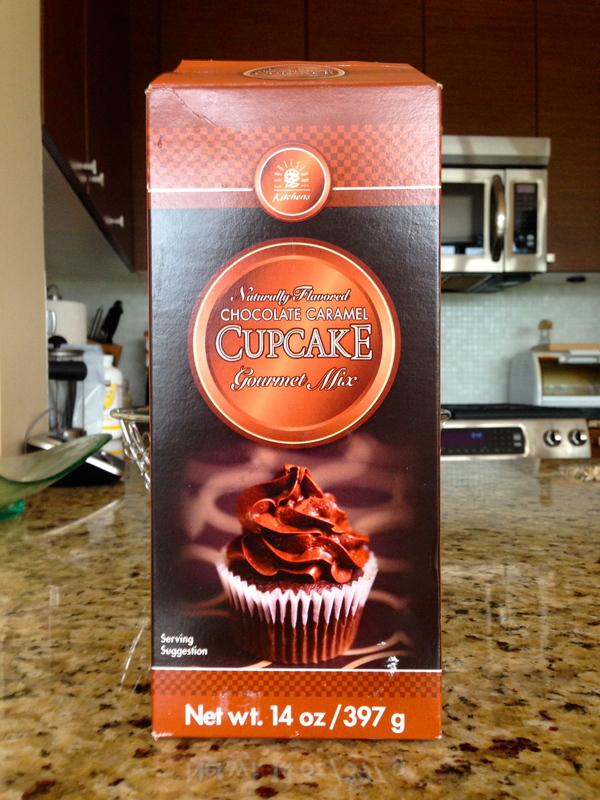 It all started with a box of cupcake mix. I know, I hate to even admit I used a mix but for whatever reason, I had this box sitting in my cupboard so I decided to make them last night while Armando was in Veracruz, Mexico for a quick weekend trip to visit family. My girlfriends were coming over for a girls-night-in on Saturday so it seemed like the perfect time to make them so I would have help eating them. They turned out to be ugly cupcakes. My ability to pipe the icing on the cupcakes was not at the same level as the contestants on the Food Network‘s Cupcake Wars (Love that channel!). How do they make it look so easy?! Mine looked like, well, a place where a dog came along and thought it was a perfect place to do his business. I know, gross. But that is truly what they looked like. They tasted okay though. I think I would get points lost for presentation but for taste…oh, who am I kidding…they tasted like cupcakes that came from a box. But, I must say that my homemade icing wasn’t half bad. Anyways, I decided to share my Friday night activity with Armando. 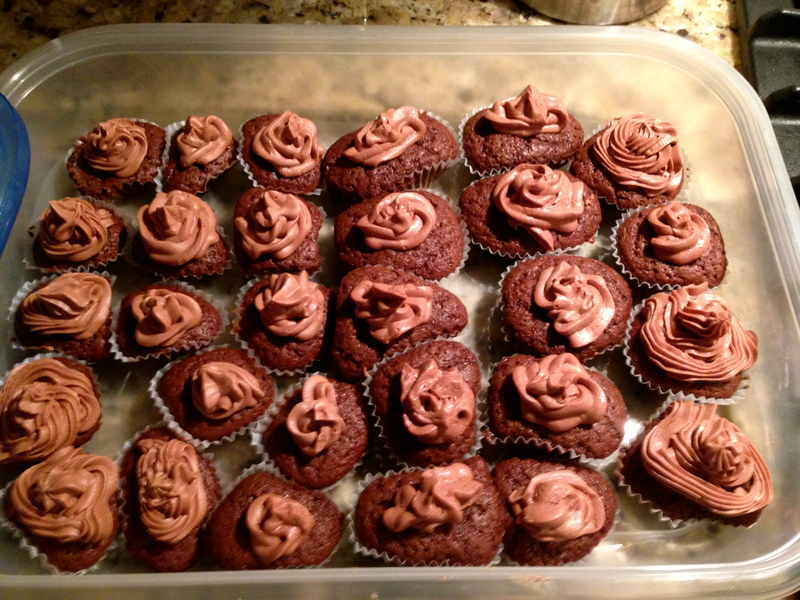 Baking on a Friday night…living on the wild side! *sigh* I snapped a picture of the cupcakes and sent it in a text to him. A while later, I received an emoticon of an angry red face and a red face of the devil. Whoa Nelly!! I thought Armando didn’t like cupcakes. Was he actually mad that I made cupcakes while he was away? Nope, it was worse. Armando added a package to his cell phone plan this weekend so we could talk and text a bit more than we are normally able to on his regular plan when he is in Mexico. Sweet gesture, I know. But apparently sending a photo via text when one is not on wifi, will use up a lot of their data trying to download the photo. We just have to ignore the simple question of why one had his data plan on in the first place. First rule of travelling out-of-country, never have your data plan on unless needed for an emergency. And we have to ignore the fact that one sent photos via text earlier which would have me assume that it was okay for me to send photos via text as well. But assumptions never end well. Long story short, the attempted download of the photo used up all the data plan Armando had and was starting to charge him $10 for every MB needed to download the picture of the ugly cupcakes. Thankfully, the phone company stopped the transmission so it wouldn’t go over $90. So, we are now $90 poorer and the photo never did completely download for Armando to see it. And the plan is used up so we can’t talk nor text for the rest of the weekend, unless he’s on wifi. Lesson learned from all of this? Buy cupcakes from the professionals. The picture of my ugly cupcakes that cost us $90.